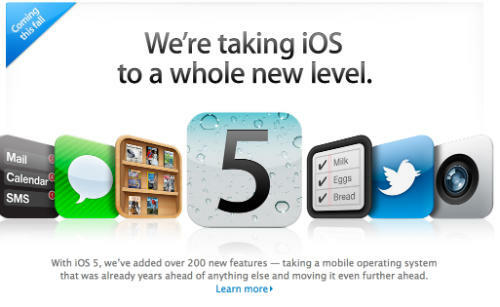 After numerous beta releases, Apple has finally released the official iOS 5 for all apple devices including the iPhone, the iPod touch and the iPad. The release is said to be out worldwide and users around the globe should be able to update their devices right away. The iTunes software was also updated to 10.5 which will be required if you are planning to update your Apple device. Do let us know if the iOS 5 update is available for your Apple device and tell us your experiences.